As one of the longest-running weekly supper clubs in London, the Wam Bam Club occupies a leading position in its niche. This non-stop parade of sensual revelry and tongue-in-cheek sass features no less than 15 burlesque, cabaret and circus acts. Many of them are residents, endowing the revue with unmistakable character. You may have seen photos of Lady Alex posing elegantly next to patrons and fellow performers. Don’t be fooled by them: bawdy humour and sprightly irreverence are the tools she uses to tease and provoke the public, stealing drinks, picking volunteers to crawl on all fours and even drafting members of the audience to carry her back onstage. In addition to that, the host contributes as many as four burlesque routines of her own to every show, launching into glitzy strip choreographies backed by two male and two female dancers who also double up in other skits through the show. Sophisticated and visually lavish, Lady Alex’s singing burlesque numbers are an explosion of show business glitz unlike anything else in London variety. Since she doesn’t seem to perform them in any other shows, they remain an exclusive Wam Bam Club treat. Drag singer Bunny Galore is another regular, cheering the crowd with theatrical renditions of show tunes like Willie Nelson’s Bring Me Sunshine and Christina Aguilera’s I Am a Good Girl. You can also expect two numbers from Cabaret Rouge, a trio of burlesque dancers specialising in elaborate choreographies with matching costumes themed after 18th century courtesans and air hostesses, among other gimmicks. 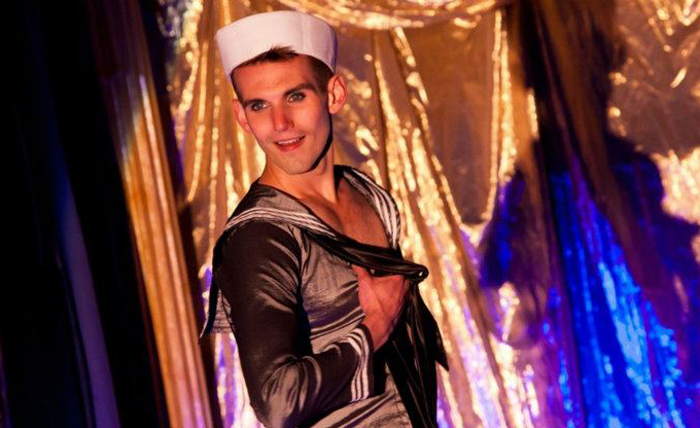 Wam Bam Club is one of the few shows in London regularly employing boylesque performers. An excellent example is New-York-based dancer Go-Go Harder and his sailor routine, a striptease brimming with provocative sensuality and disarming humour. In the same bill, award-winning bump-and-grinder Peggy de Lune shows off her many skills in traditional burlesque, dancing en pointe, waving feather fans, stripping behind an umbrella and climaxing with vigorous tassel-twirling. Her technique is impressive, but the teases are mechanical, lacking the charisma she wields in a comic skit like the singing number that won her the British Newcomers’ Crown at the World Burlesque Games. A tacky laser light shooting from the back of the stage doesn’t help either: kicking in at other moments as well, it colours more than one act with all the refined charm of those Windows Media Player visualisations. Cabaret is well represented by Gracie. Followed by a spotlight, she works the room, weaving many tables into a torrent of off-the-cuff digs while singing Stormy Weather and An Old-Fashioned Love Story from off-Broadway musical The Wild Party. A master of comic banter with mellifluous singing to boot, the shameless crooner is a guaranteed crowd-pleaser. I’ve seen Madame Galina’s ballet audition number enough times to know it: if there’s one act that gets funnier with time, this is it. A drag ballerina rounds up three male patrons to find a replacement for her unavailable partner. From that simple premise, the comic giant builds up a hilarious spectacle of slapstick farce and quick-witted one-liners. She nearly picked me this time, but recognised my face at the last minute and quickly backed away, begging for a five-star review. An experienced ballet diva should know that cowardly grovelling is never the way to win the respect of a critic. Such a shame, it was going so well. Madame Galina gets no stars from me (and if you’ve noticed This Is Cabaret does not give star ratings, please don’t tell her). Diners will be spoiled for choice with a menu listing five options for each course – think of the possibilities. Our most attentive restaurant manager Sergio di Nardo recommends the butternut squash soup for a starter. I don’t: its over-spicy seasoning drowns the soft flavour of the dish. Likewise, the aged Scottish rib-eye steak is bland and served with limp, greasy chips, and the Bramley apple tart undercooked. However, you will find rich flavours in the spinach and ricotta tortellini, and the chocolate tart has a pleasantly lingering finish. 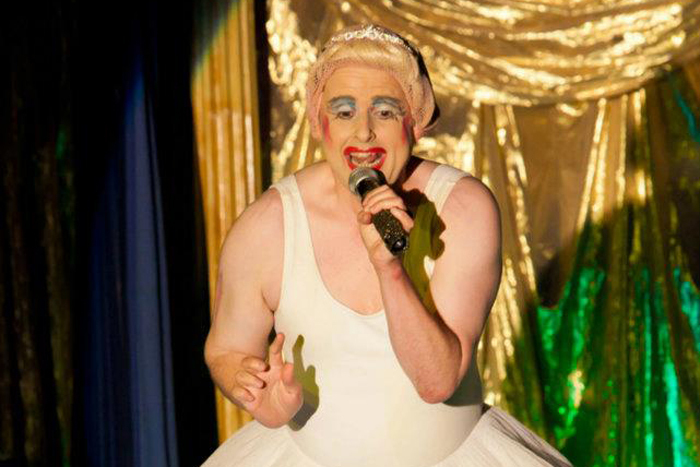 The show’s typical audience comprises burlesque fans, dining couples, birthday parties and hen parties, which are catered for with plenty of marriage jokes. Its lavish surroundings find a great counterpart in the lowbrow humour that underlines most acts. Despite all the tomfoolery and teasing – or perhaps because of it – everyone feels welcomed here. 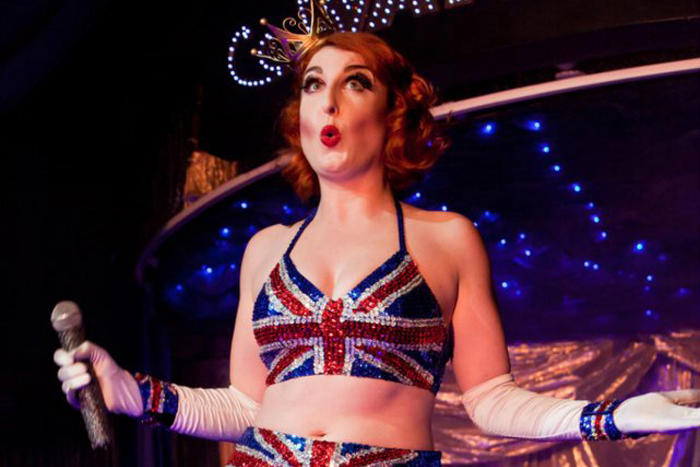 The Wam Bam Club is a night to laugh, giggle, sing along and be dazzled. I was there on Saturday and have to agree the show was alight with amazing performances. One of the best cabaret shows i have seen.